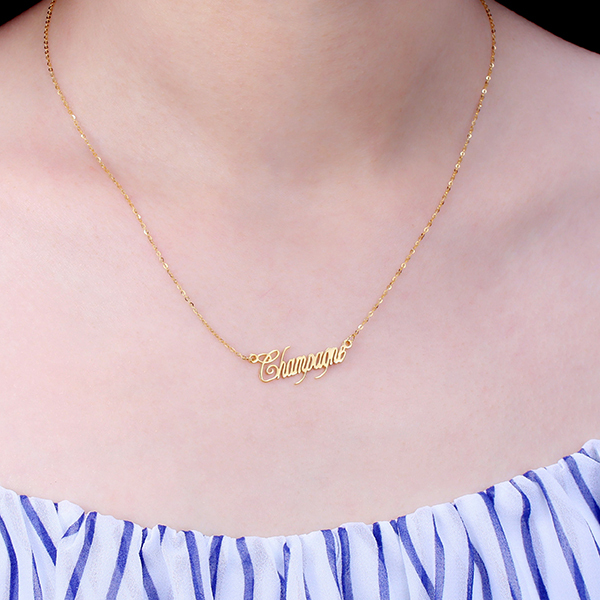 The color of this necklace is also available in Solid White Gold,Solid Rose Gold. 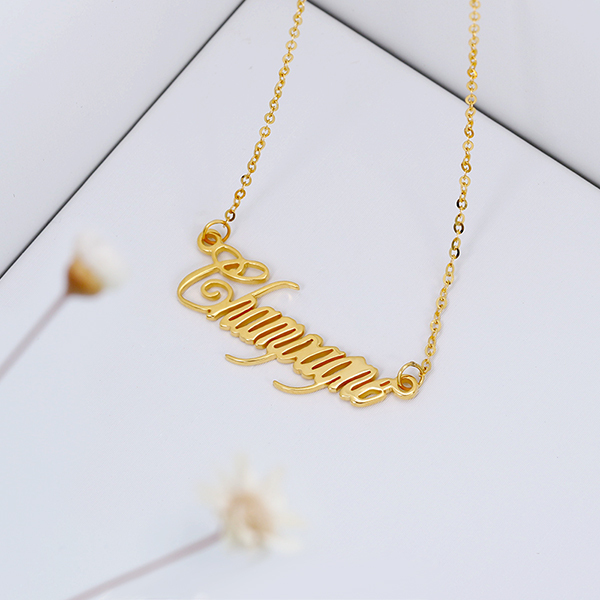 This elegantly and fashionably written in script name necklace can be personalized with up to ten letters, made by hand of Solid Gold and high polished for a shiny finish. 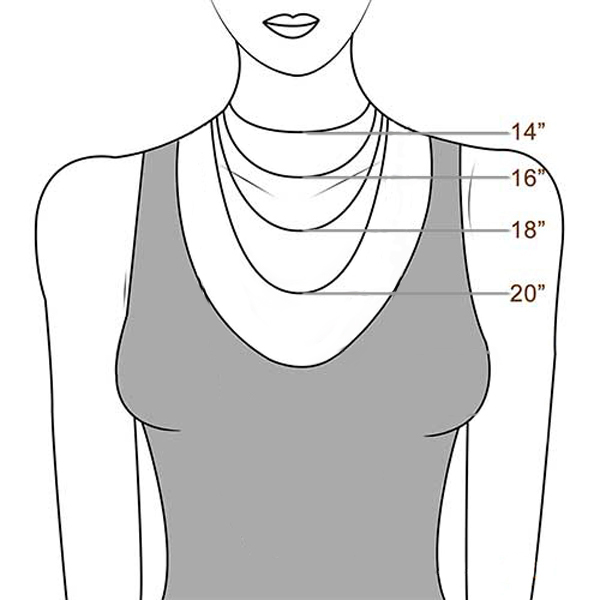 You may choose the style and length of the chain. 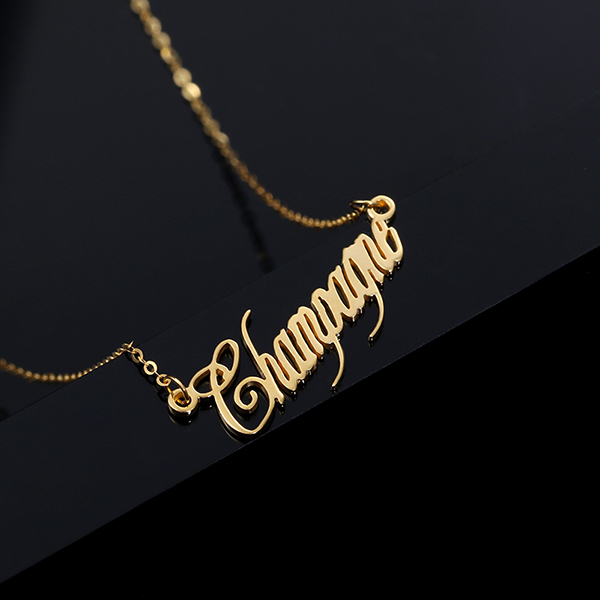 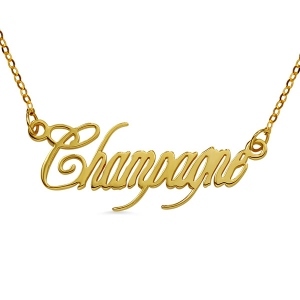 Order this Solid Gold Champagne Font Name Necklace with your beloved's name to make a big surprise.